Aiming to make the financial world a better place, Polish entrepreneur Pawel Kuznicki founded Capital Match in 2014. His goal: to make it easier for small- and medium-sized enterprises (SMEs) to access affordable capital—and in the process, to help investors create high-growth fixed income. 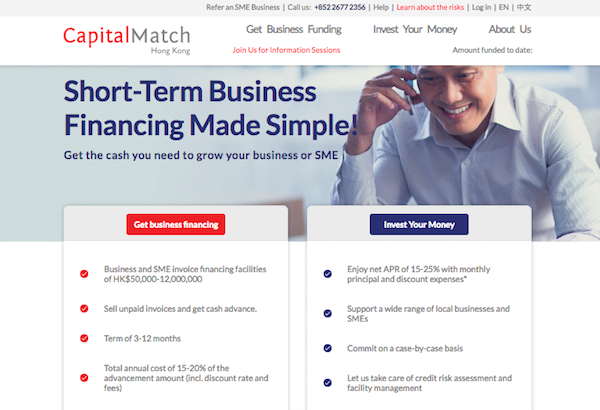 Capital Match has now channelled more than USD66 million of funding, and is the largest invoice-financing platform in southeast Asia. In Hong Kong, it’s difficult for SMEs to obtain flexible sources of financing, says Pawel. This means cashflow issues can have a big impact on SME owners, who aren’t always able to borrow from banks. One of Capital Match’s services involves purchasing outstanding invoices from SMEs, advancing more than 80 per cent of the invoice value to the company. It’s using an online platform to connect investors with companies, and in the process forging mutually beneficial relationships between SMEs and professional and institutional investors. When Capital Match was ready to launch in Hong Kong, Sherry Ngai, Capital Match HK general manager, found that traditional banks were impersonal and slow off the mark—so she turned to Neat. Sherry values the level of service provided by Neat, as well as its fast pace—solutions are always delivered promptly, while payments and transfers are quick.